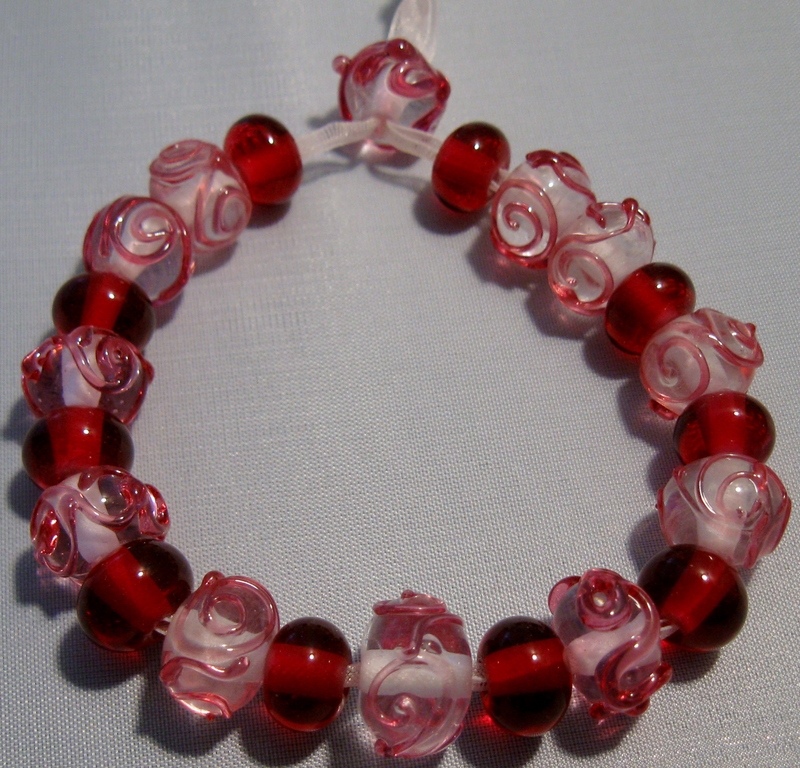 "Swirly Pinks" A set of 12 cake beads done with a crystal base and decorated with hot pink transparent glass. Also are 10 small transparent hot pink spacer beads. Price: $30 for the set of 22 beads. 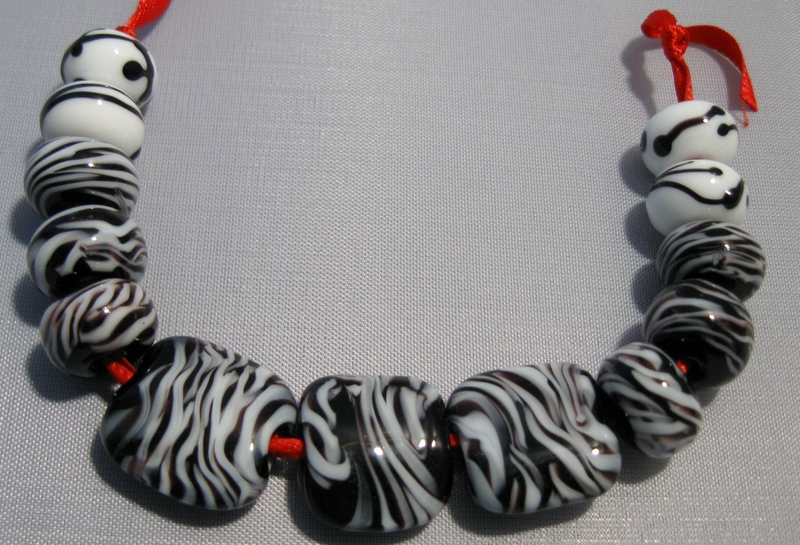 "Zebra Stripes" A set of 3 tab beads done with a black background and wrapped with black and white zebra stripes. Includes 6 round beads done in black and white stripes and 4 round white background beads decorated with black accents. Price: $26 for the set of 13 beads.